← QUAERITUR: Is water blessed with the newer rites really holy water? NOTE THE TIMES, below, in UNIVERSAL TIME. Explanation: Today Venus moves in front of the Sun. 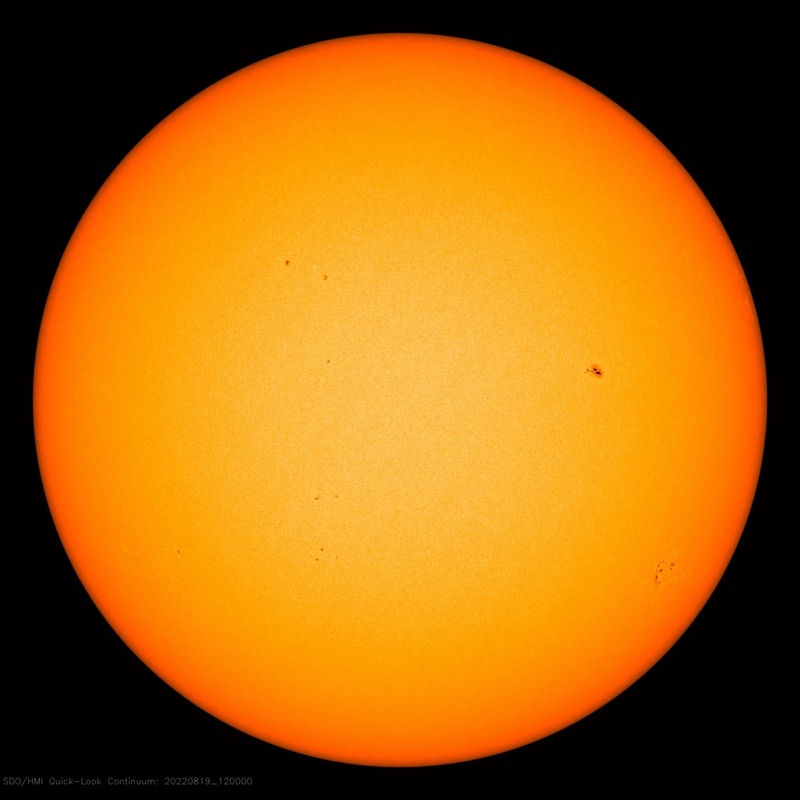 One way to follow this rare event is to actively reload the above live image of the Sun during the right time interval and look for an unusual circular dark dot. The smaller sprawling dark areas are sunspots. The circular dot is the planet Venus. The dark dot will only appear during a few very specific hours, from about 22:10 on 2012 June 5 through 4:50 2012 June 6, Universal Time. This transit is the rarest type of solar eclipse known — much more rare than an eclipse of the Sun by the Moon or even by the planet Mercury. In fact, the next transit of Venus across the Sun will be in 2117. Anyone with aclear view of the Sun can go outside and carefully view the transit for themselves by projecting sunlight through a hole in a card onto a wall. Because this Venus transit is so unusual and visible from so much of the Earth, it is expected to be one of the more photographed celestial events in history. The above live image on the Sun is being taken by the Earth-orbiting Solar Dynamics Observatory and can be updated about every 15 minutes. It is entirely overcast where I am and in my time zone it would have been later in the evening through the night until earliest morning. There is a live webcast of the event from an observatory in Hawaii. HERE. The Hubble Telescope, which cannot look directly at the Sun, is going to use the surface of the Moon as a mirror to examine the atmosphere of Venus. HERE. This entry was posted in Just Too Cool, Liturgy Science Theatre 3000 and tagged 2117, eclipse, Hubble Telescope, moon, sun, Transit of Venus, Venus. Bookmark the permalink. BTW, while looking at the “Fortuna’ video I saw this link. Makes you have wonder and awe, and a solid dose of humility: Iceberg Flips. Our world is so full of wonder. Our family of 10 kids and myself will join thousands of others at Edgewater State Park in Cleveland to witness this Transit tonight, and the kids will get to see Daddy on TV — they’re quite excited! Good luck to anyone hoping to see Venus using a pinhole camera. Those work great when the moon is taking a big hunk out of the sun, but if you’re just making a hole in a card it won’t work; you’d also have to make sure NO LIGHT is coming from any other source except through the card (no sky glow, no reflected light — perfect darkness except for that one tiny hole) AND give your eyes time to dark-adapt, preferably by getting rid of the light through the hole, too, for at least 10 minutes. Interestingly, the Maya worshiped Venus as Kukulkan. Much of their calendar had to do with the cycling apparitions of Venus. It’s tempting to think that they chose the end of their calendar to fall close to a transit of Venus. Really enjoying the NASA webcast at the moment. Thanks for the heads up, Father! I’m watching, I’m watching! NASA scientists analysis is very interesting. Now if they can just play Carmina Burana over the video . . . .
Interestingly enough, while the Venus transit is going on, at 00:51 UTC / 20:51 EDT, the Earth itself will pass in front of the sun as seen from my location, taking 10:15 to fully pass across the face of the sun. This event will not be seen again for more than 13 hours! A local astronomy group set up a bunch of telescopes in the park and shared the sun-filtering glasses around. One fellow had an 80mm telescope with a hydrogen-alpha filter on it, that produced amazing views of Venus, the Sun, various sunspots and prominences. It was beautiful. I highly recommend seeing it in person if you can, because the pictures on the web just don’t compare. Our family is on vacation in Hawaii. We went to Hapuna Beach and someone had set up a telescope on the beach by a family visiting from Canada. So I and my sons were able to take a look through their telescope and through some welder’s glass as well. I tried the pinhole thing but it didn’t work so well. Won’t be seeing anything here except severe thunderstorms with tornado and large hail warnings.